Fat Joe Speaks On The Mobb Deep Rumors! Havoc Claims Cell Phone Was Stolen! Early this morning, the Internets were all in a huff over slanderous tweets that were thought to be coming from Havoc of Mobb Deep and aimed at his long time rhyme co-d Prodigy. In a series of tweets, Havoc’s @THEREALHAVOC account called Capital P everything but a child of God while alleging that he engaged in homos-xual acts while he was locked up. The fellow Queensbridge rapper and accomplished producer also threatened P with the fade on sight. Well in a dramatic turn of events, by social media standards, Havoc claims that it was all a case of a stolen cell phone. This whole debacle sounds suspicious. What do you think? Waka Flocka Brings Out Wale, French Montana & Juelz Santana! 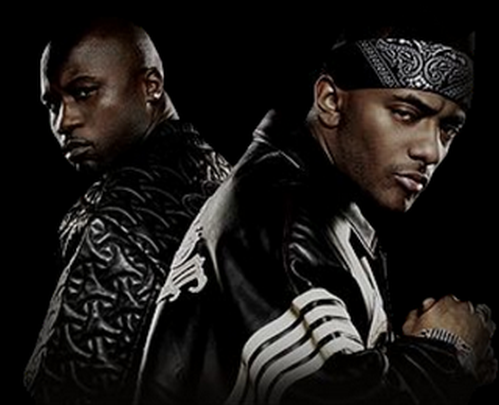 Mobb Deep Speaks On 50 Cent’s Reaction For Working With Rick Ross!